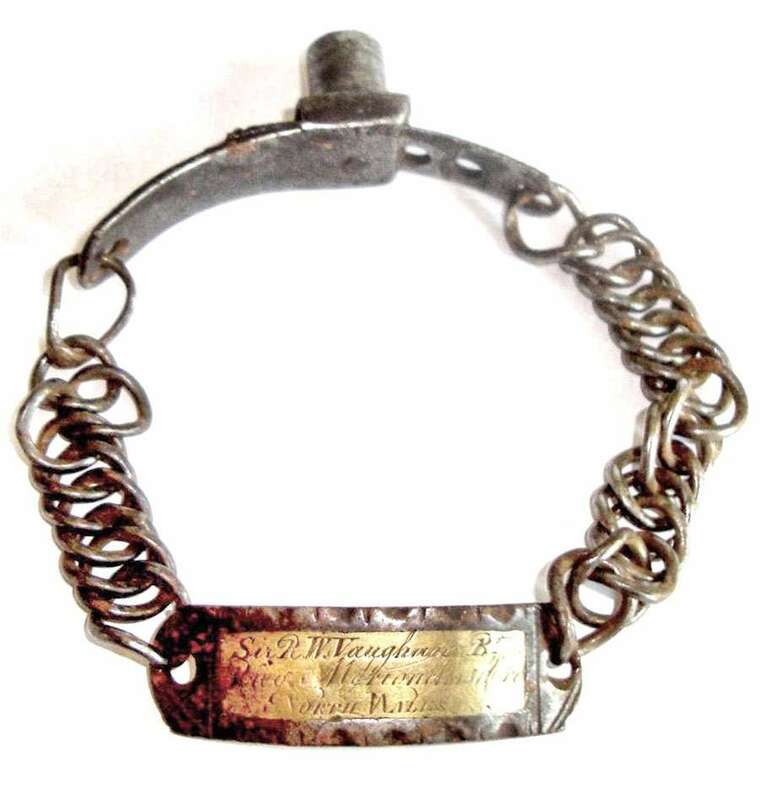 Nineteenth Century Georgian dog collar, engraved “Sir R.W. Vaughan, Rhug…”. Listed on eBay in October 2016 with a ‘buy it now’ price of £399.99. See details.